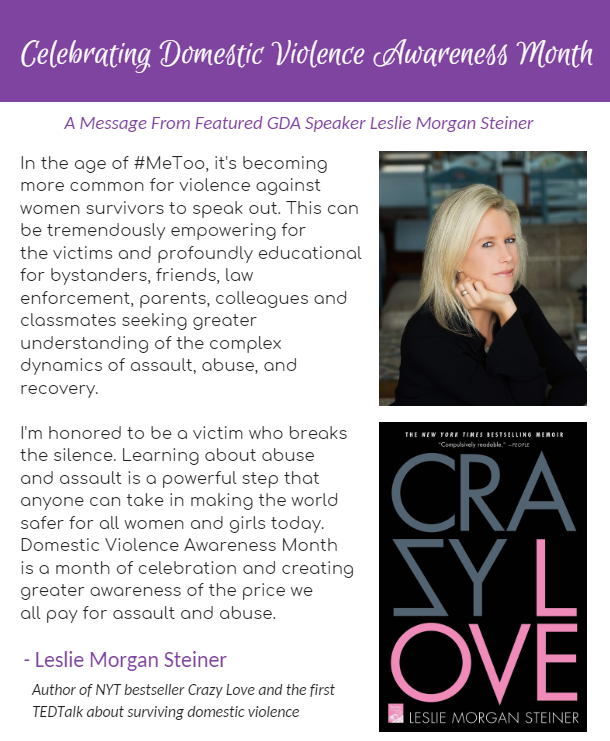 GDA Speakers supports the victims that have had domestic violence impact their lives and celebrates their courage, determination, and subsequent recovery. Leslie Morgan Steiner is a board member for the One Love Foundation. To find out more about One Love or to make a donation, you can visit their website (click on the logo above! ).